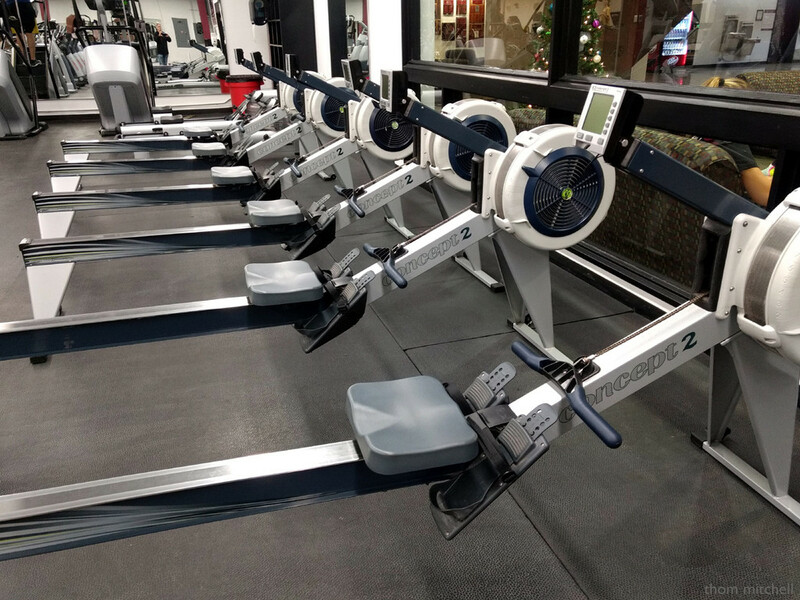 Count ’em, six Concept2 rowers. And I won't row any of them. They have not been maintained and are so dirty and "out of tune" that I find them unusable. Originally there were 12. Whither the other 6? No clue. With little-if-any ongoing maintenance, presumably the missing rowers became unusable and the facility was unwilling or unable to repair. Over the last three weeks or so, several of us who rely on these machines have "gently inquired" as to the plan the facility managers have for their investment in these machines. Stay tuned. Not so inviting when you are used to doing the real thing as you are! @janeandcharlie But this is what one does to be ready for the real thing when the weather allows! Besides, at the end of the day, it's still calories-in versus calories-out … and I still like to eat & drink! That's interesting that a machine can get out of tune.